I have a confession: I am a very sensitive person, and sometimes tend to care wayyyyy too much what people think of me. It’s mostly because I take what people say very seriously, especially those I value most. Sometimes this can be a very bad thing because I’ll let the tiniest little negative comment affect me in a BIG, BIG way. Someone told me I was big-boned once, and I thought about it all day long, feeling fat. When a coworker once told me all I think about was guys and that I need to get over myself (and my drama) I cried at work. When a guy in college told me he wasn’t ready for a relationship, I assumed it was me and wondered what was wrong with me. Was I not pretty enough? Why did I let these little comments get to me? Who are they to make me feel bad about myself? What they say shouldn’t matter, after all. I specifically recall when I was a junior in college in an advanced Health Communication seminar class. The crazy, negative, intimidating teacher (who everyone in college feared may I add), went around the room asking all of us what we wanted to do when we “grow up.” “I want to be a writer,” I said timidly. (For an outgoing person, I’d always get so timid in college lectures.) “A WHAT? 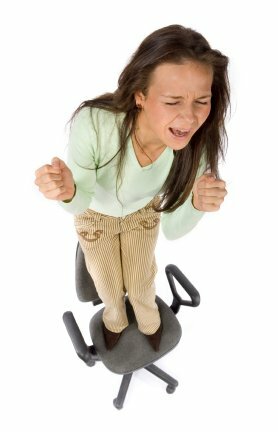 SPEAK UP!” she screamed back at me. “A writer…I want to write for a magazine,” I added quickly. “FUR A MAGAZINE? CATS HAVE FUR. It’s FOR, F-O-R. Before you become a writer you may want to learn to speak correct grammar.” I was humiliated. I completely shut down. I felt stupid/hopeless/mortified/embarrassed/weak. So what did I do? I dropped that class first of all, then went home and sobbed to my dad (sorry dad). But what my dad said to me turned my day around in a snap. First he made a lame attempt at a joke, saying I should have said “FUR YOU!” But then he told me how great of a writer I am, how wonderful of a daughter I am, and how much I have to offer. Suddenly, I was back to my normal self, high on life, just from his one little chat. You see, sometimes my sensitivity to what people say can be a good thing (when they say nice things, that is). It’s a shame we can let those little negative, hurtful comments get to us so much and don’t relish enough on all the nice, positive things people say. Think about it: you remember those terrible, mean, god awful things people said about you (behind your back or to your face), but those little happy comments seem to fade away. Wow, someone spent an hour reading MY blog? And she’s inspired by it and found it amazing? I suddenly felt on top of the world. After all, my goal is to inspire women day by day through my writing, hoping they can take a little something from it and learn a tad along the way too. So when a reader sends me a wonderful compliment such as this, it reallllllyyyy makes me feel good. You see, the tiniest things people say really do make a difference, especially for someone like myself who takes what people say so seriously. So lesson learned: next time you’re about to say something to someone that may not come out quite so nice, bite your tongue. And next time you wonder whether or not you should compliment someone or do something out-of-the-ordinary nice, DO IT. What do you have to lose? We need more little, nice happy thoughts in this world to dwell on (instead of little mean, thoughtless ones). After all, it makes for a much more cheery day! Are you sensitive to what people say to you? What’s something not-so-nice someone’s said you just couldn’t get over, or something wonderful someone’s said to you that completely brightened your day? Sticky Notes Just Got So Much More Fun! In a world where rude comments are tossed around daily, it’s definitely a breath of fresh air to hear something nice once in a while. An old coworker and I once discussed that if it was someone’s job to simply go around and compliment people, the world would be a much brighter place. It’s amazing how the simplest compliments can completely turn someone’s day around. And if that’s the case, why aren’t we tossing out these compliments more often? I’ve always been one to follow the motto: be careful of what you say and do because you never know what kind of day someone is having. That’s why (for the most part) I choose to be bright, happy and well…nice. There have been times where I’ve been told I’m even “too happy” or “too nice,” but I don’t think there is such a thing, and well…that’s just who I am. 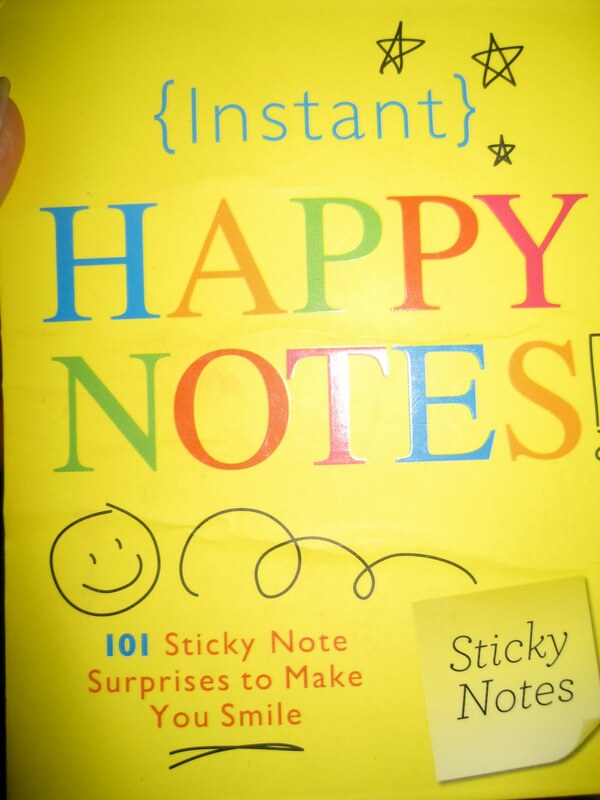 That’s why I am 100% absolutely obsessed with these “Happy Notes” my sister got me for my birthday: “101 sticky note surprises to make you smile.” Now doesn’t that just sound lovely? Not only are sticky notes cool as is, but these little colorful gems actually have inspirational, “feel good” quotes on each one. From “Being With You is Having the Time of My Life” to “Most Problems Don’t Look so Bad After a Glass of LEMONADE,” these little puppies are sure to brighten anyone’s day, or get someone to smile at the very least. The best part? You can tear them out and stick them onto a friend’s desk, door, mirror or shirt to make their blah day a little bit brighter. So go ahead, toss out a compliment…every one could use a little more love.